Publishing numbers not seen since 1969, yesterday the Bureau of Labor Statistics (BLS) released its October jobs report. The numbers reflect data compiled for the month of September as unemployment dipped to 3.7%, with new jobs pegged at 134,000. That is good news for the Trump administration as it validates their message of a strong economy. The news was expected and comes at a good time for them as even though they inherited the foundation of a good economy from the Obama administration, they have been mired in a string of self-inflicted blunders ever since taking over the reins. They view those blunders as attacks from those who are upset they won the 2016 election. Others view them as leaders who are inexperienced at managing a government, fraught with suspicious characters linked to criminal behavior. In addition to the Mueller investigation, they are dealing with a majority of the public not in support of their United States Supreme Court nominee, Brett Kavanaugh. Earlier today Kavanaugh squeaked by with a 50-48 vote. While there is jubilation from those who support Trump and Kavanaugh, the untold cost may not be realized until the mid-term vote slated for November 6th. Some fear this and other moves by the administration might cost the GOP control of congress. Sen. Elizabeth Warren (D, Mass.) 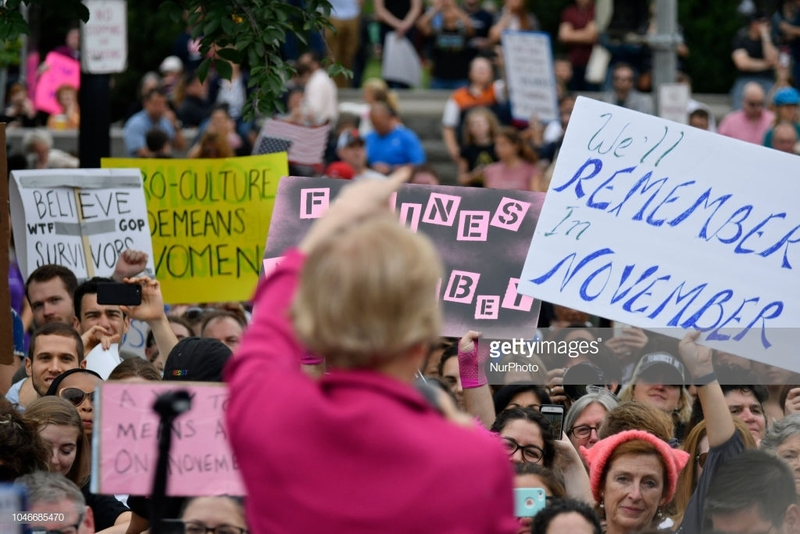 speaks to protestors gathered at the steps of the US Supreme Court as the Nation waits for the expected confirmation Judge Brett Kavanaugh, in Washington, D.C., on October 6, 2018. As September numbers are a positive sign, Trump no doubt will use the data to proclaim the numbers reflect the lowest, specifically among African-Americans and other minority groups. While the numbers are real and give great justification to those who support Trump, it must be noted he is a master manipulator of the spoken-word and you really have to ponder how serious he is about the claim? Or, is he appeasing to the conscious of those who have very little knowledge of the historic perspective of employment gaps between whites and minority groups? Oftentimes they view any news spouted from Trump as near-gospel, certainly not worthy of understanding the overall context of such statements. Understanding media, Trump has woven unemployment data into his rallies and other talking-points. The issue for some regarding this sentiment is whether Trump is genuine, as his tone appears to mock the point which is a very serious issue for African-American’s who have been systemically unemployed at a rate at least twice that of whites. 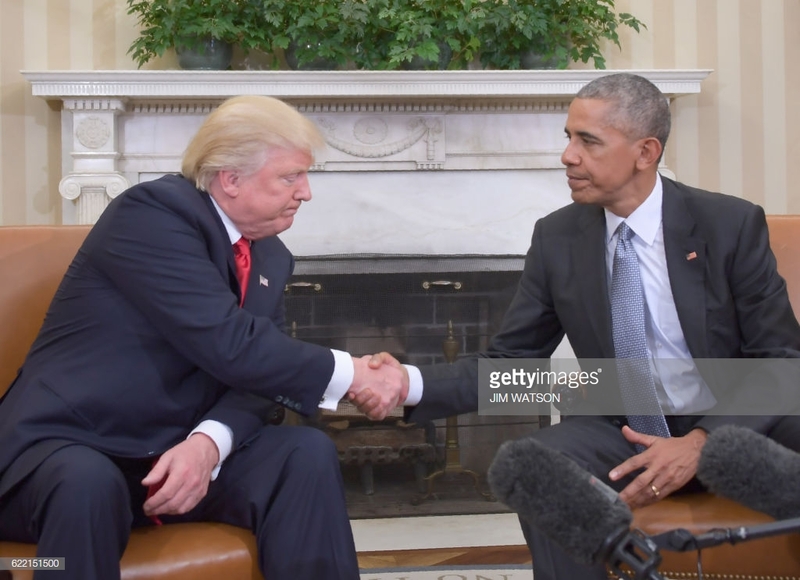 This has been lingering problem presidents have been dealing with ever since the notion of race entered the American nomenclature. It was created to divide people and groups. While the numbers in fact have declined, the real gap is a constant historical fact; a key metric providing evidence to the wealth gap that highlights the polarization of our nation. In attempting to proclaim his support for the African-American community, who can forget this quote Trump made while on the campaign trail? 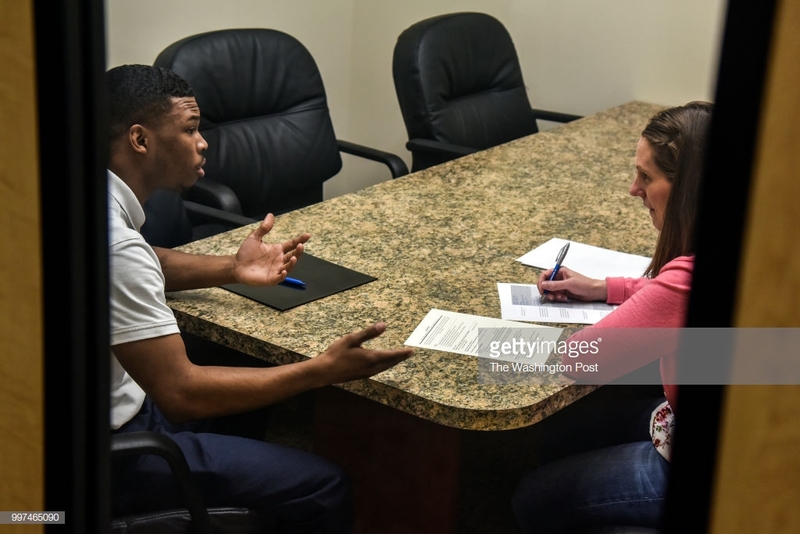 Isaiah Hall, 21, responds to a question from Crystal Sauser, a public relations manager, during a job interview at AirLite Plastics in North Omaha on Friday, May 4, 2018, in Omaha, NE. “We’re going to offer you the position,” Sauser said, and the stoic face Isaiah began to melt into a smile. Isaiah finally had a job. Only seven of the overall 13 students (one student started a day after the initial 12 students) would make it through the training and to this morning of job interviews. Over the past decade, concentrated efforts by various organizations in Omaha have helped drastically drive down the unemployment rate among African Americans, particularly in North Omaha, which is majority Black. While Donald Trump brags about how he has helped lower the national unemployment rate among Blacks, the city of Omaha has shown how a small group doing targeted employment bootcamps and workshops can help boost statistics with minimal help from the local, state, or federal government. Indeed, unemployment numbers are down but a nagging question remains which is why is there a disparity with white workers versus other ethnic groups? The jobs report will continue to boast consumer confidence. However, the issue for many is keeping pace with rising consumer cost. The Fed’s recent rate hike is the reality of a cyclical economy. Some things go up and others go down. As an example, housing prices continues to soar resulting in many who are employed to delay buying a home, simply because the percentage needed from their paycheck to handle the monthly payment has increased year over year. Here is an example of 1969:2018 – Wages & percentage of income needed for monthly payment.